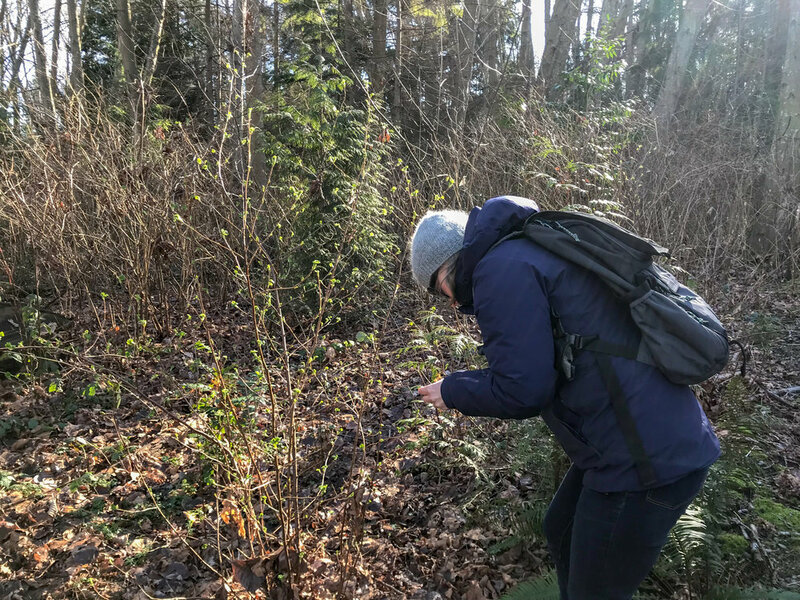 On Sunday February 11th, I joined the Jericho Stewardship Group for a walk through Jericho Beach Park to learn more about the Park's ecology. 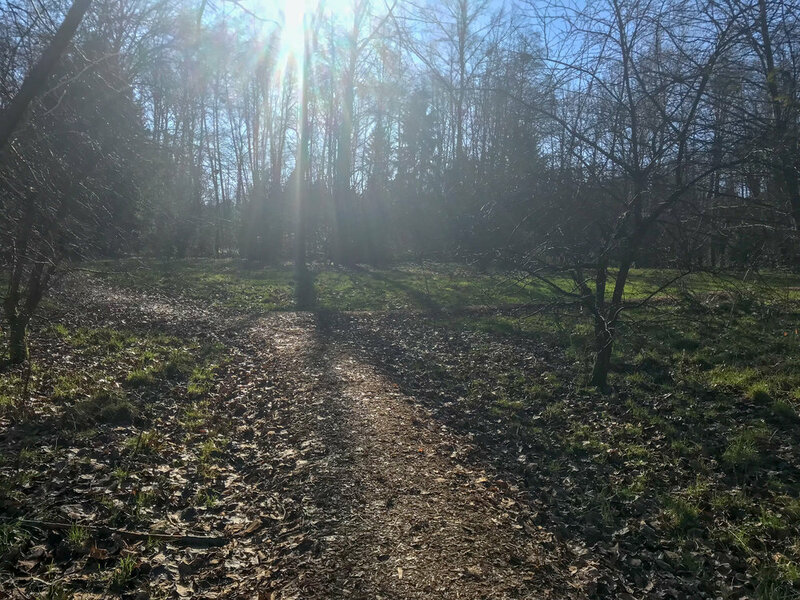 Members introduced me to the wide range of trees growing in the Park including: Cottonwood, Beaked Hazelnut, Pacific Crabapple, and Maple. 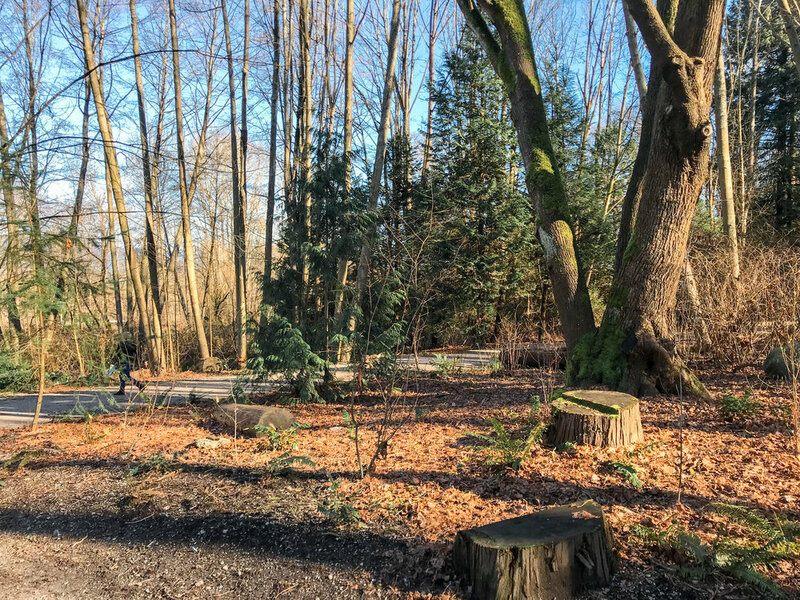 In partnership with Vancouver Parks, JSG is working to remove invasive species and plant native trees and shrubs such as Sitka Spruce, Douglas Fir, Arbutus, and Salmonberry. These trees and shrubs play an important role in providing habitat for birds, animals and insects. Bird activity is most evident around the marsh and pond areas of the Park. There are a number of ducks swimming and preening in the cool waters. What is less evident, but equally important is the bat population living in the Park. I'm curious to learn more about these nocturnal creatures. that point to the old growth forests that populated the Park prior to colonial settlement and the lumber industry. 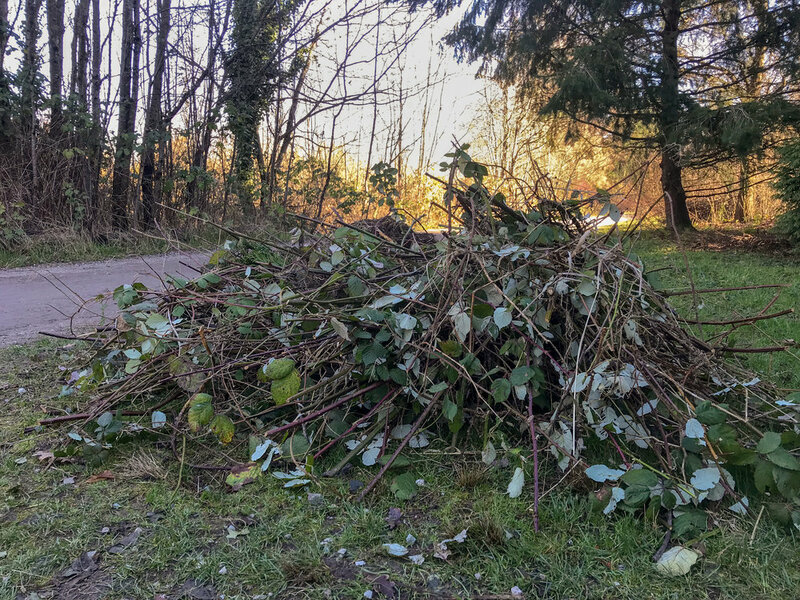 filled with invasive species such as Himalayan blackberry, Japanese knotweed and Ivy. The JSG works to remove invasive species from the park to make space for native plants and trees. makes for an important gathering place for a range of bird species.